Learn how the continents have changed throughout time and how continental drift has influenced the world we live in today! 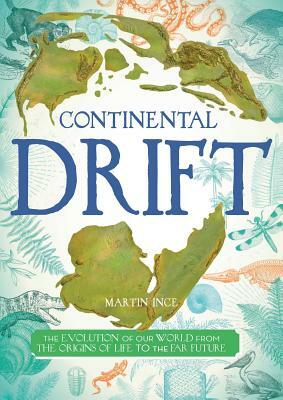 Explore how the continents have drifted, from the Devonian Era to the Jurassic Period, to form the world as we know it! This beautiful book will take readers through different periods and explore the ecosystems and conditions of each time and how the changes led to where we are now. Learn about sea life, insects, animals, plants, rocks, and more! This book will be sure to capture the attention of young readers and educate them in the process! Martin Ince is a freelance science writer, media adviser, and media trainer. He is the president of the Association of British Science Writers.